West Chester men’s soccer head coach Michael Benn. A tough, gritty defense right from the opening whistle led the West Chester men's soccer team to the NCAA Division II Final Four. "We knew that we were going to be a very good defensive team, that would allow us to be competitive in almost every game we played," coach Michael Benn said in a phone interview. "But I can't sit here and tell you we knew that we're going to a Final Four." The Golden Rams (15-2-5) reached the national Division II semifinals for the first time in 58 years. The first time the school went this far was before divisional classes were assigned to schools. This is the team's third NCAA Tournament. "We want to be a program that is in this position every year, to compete for conference championships and beyond in the NCAA Tournament," Benn said. West Chester will face Cal Poly Pomona (17-6-0) in a national semifinal on Thursday in Pittsburgh. Fort Hays State and Barry will play in the other semifinal, with a national champion being crowned on Dec. 1. Last season, the Golden Rams hinted at their ability to make a Final Four push when they won a program-record 14 games, going on to win their first playoff game in more than 50 years. They were knocked out in the round of 16. West Chester sophomore Stephen Thompson. 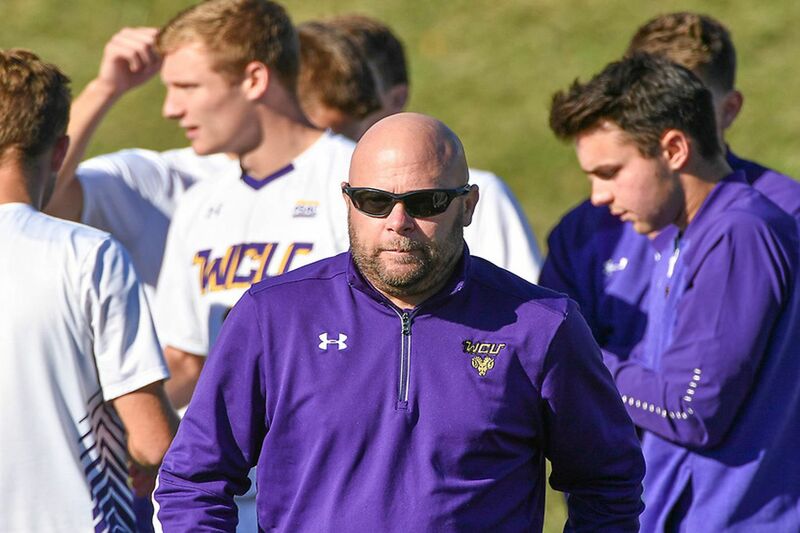 Benn, in his fifth year as West Chester's coach, has led the team on two consecutive deep runs in the postseason. He attributes a lot of the team's quick success to the alumni who have reached out to guide the current players. "Hopefully we're at a point now where our older players continue to pass down our expectations to our younger players," Benn said. "They understand what we expect of them in the classroom and on the field and all of those things, and we can try to keep this thing rolling." This year, West Chester has taken down some strong contenders in NCAA postseason play. The Golden Rams knocked off the reigning national champion and undefeated Charleston (W.Va.) in the quarterfinals, allowing West Chester to capture its first Atlantic Region title. The Golden Rams' momentum grew when they defeated top-seeded Adelphi, 2-0 on Nov. 17 thanks to goals by Doug Goitia and Stephen Thompson. Mirroring many of their games throughout the season, it was a grudge match. West Chester's defense is anchored by goalkeeper Will Marshall, a graduate student. West Chesters goalkeeper Will Marshall. The team's attack is facilitated by sophomores Goitia, Thompson, Colin Muller, and Daniel Grindrod. "Certainly looking ahead to next year, we're going to have to rely a little more on those attacking players who will now be juniors and seniors as opposed to sophomores and juniors," Benn said.